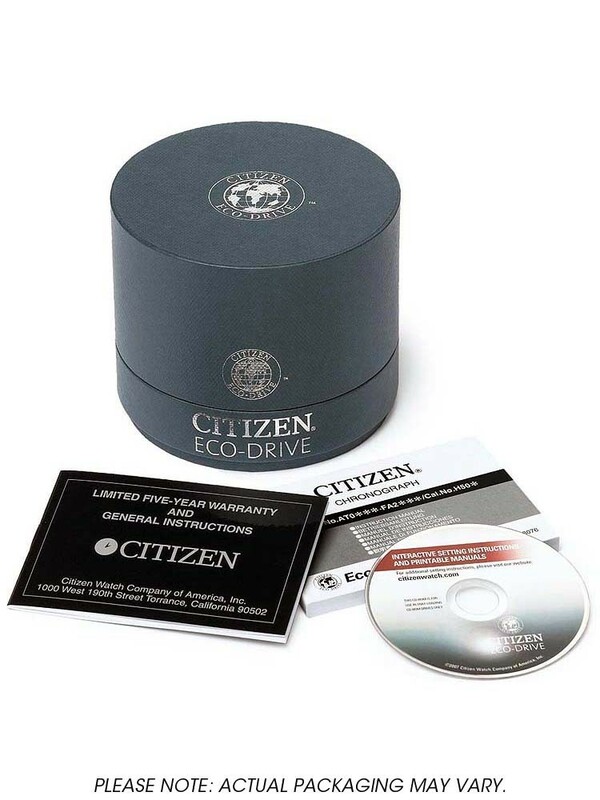 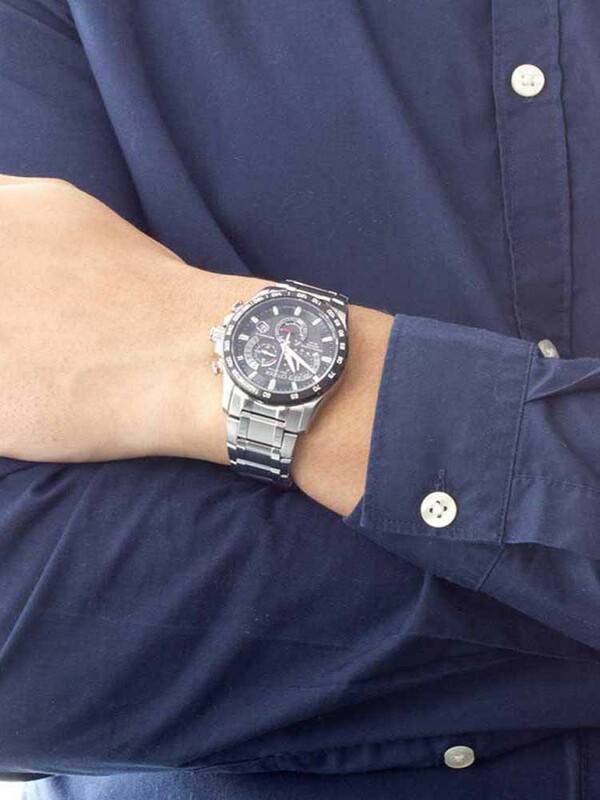 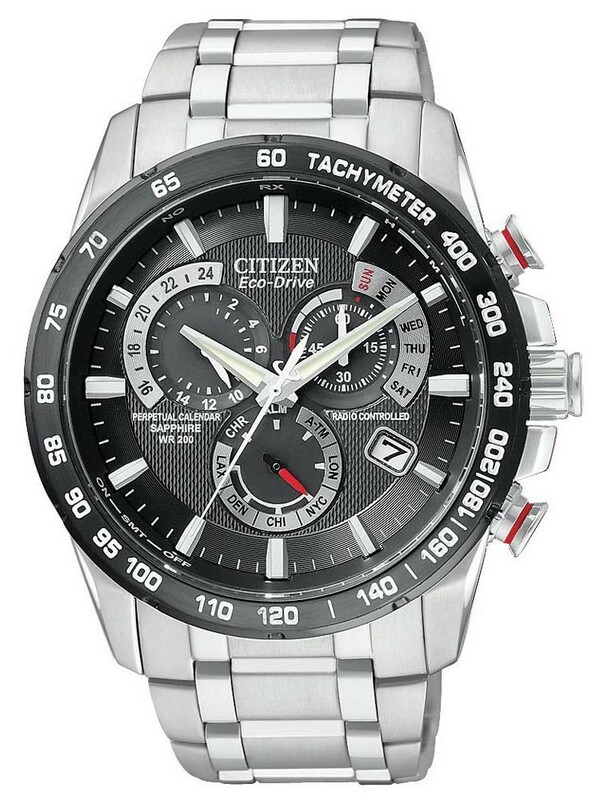 This mens Citizen watch is made from stainless steel. 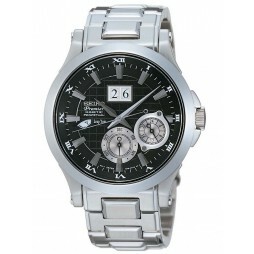 As an Eco-Drive watch it uses light to recharge itself and therefore will never need a battery. 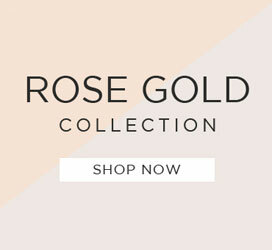 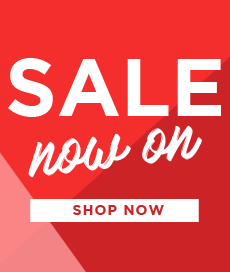 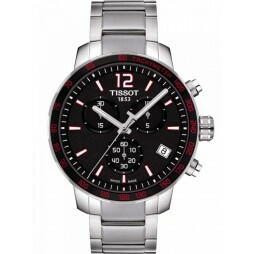 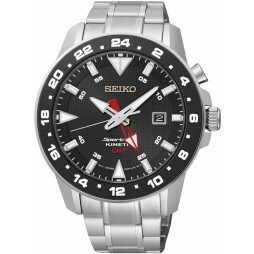 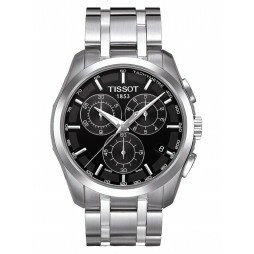 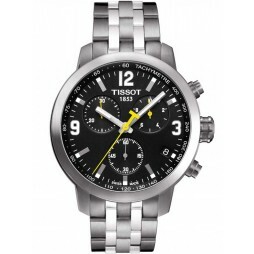 This watch has features including perpetual calendar stopwatch and dual time.